It’s trite to say, “where did the time go,” and yet, I am genuinely stunned that Thanksgiving is this week. I swear the first day of school was only a couple weeks ago. I’m excited though because I love Thanksgiving. I love the food (especially making leftover sandwiches), gathering with family, and of course, the hours of football on TV. The holiday season also provides us an opportunity to shine our attention on giving thanks. Last year at Thanksgiving, I wrote about the importance of gratitude. This year, I want to talk about a similar virtue, appreciation. The psychologist Richard Weissbourd refers to appreciation as the single capacity, “at the heart of almost every quality we think of as moral.” It is the ability to know and value, whether that be other people, ideas, moments, behaviors or simpler qualities like the smell of freshly baked apple pie or the color of leaves in the fall. In his book, The Parents We Mean to Be, Weissbourd writes that appreciation helps break our destructive impulses, helps us treat people with decency and respect, and compels moral action within us. These are good characteristics, ones we hope our children develop. One way to help children with this is to model appreciation ourselves and ask them to practice appreciation. Here at Assets, one of our middle school project-based learning groups, “Say What?” is focusing this year on how we can use language and the arts to create a positive community. If you’ve visited assembly, you’ve heard their work because they came up with the idea for an “Appreciation Station.” This is a box where anyone on campus can leave a note of appreciation for someone else in our school community [see slideshow below]. A handful of these notes is read aloud at each Friday assembly. All notes for the week are posted on our campus walls. Speaking as someone who has received a note, it feels good to be recognized like this. More importantly, our students are helping and encouraging their peers to know and value others. Like so many things our students do, I’m thoroughly impressed. Mahalo nui to the “Say What?” PBL group for demonstrating such leadership. Describe the most creative way you’ve ever expressed thanks to someone, or someone has expressed thanks to you. What qualities of your mom or dad do you hope to have when you’re older? Do you know someone who is a giving person? Who is it and what makes them so? What is something you own and love that you would like to share with someone else? Additionally, we all know children, teens and adults who don’t like to share answers to questions like those above, especially in a group. It doesn’t matter that the group is comprised of relatives. In fact, relatives may actually make them more shy, moody or anxious! 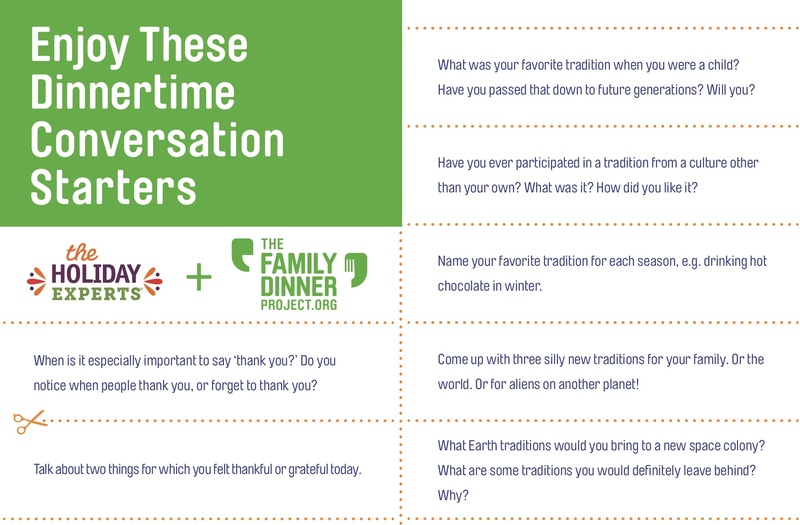 When thinking about how to engage these family members, I recommend the article, “The Trouble with Thanksgiving Gratitude.” The article recommends four strategies to consider that might help these individuals express gratitude in a more emotionally safe way. If you read the article, it goes into greater detail on each strategy and offers examples. While developing gratitude and thankfulness are lifelong pursuits and not achieved via once-a-year gestures, Thanksgiving does provide us a wonderful opportunity to gather with family and express our appreciation. If we haven’t focused on appreciation practices with our children like we wished we had, let us use Thanksgiving as a chance to refocus. Please know that at my table this year, I will be sharing appreciation for working with such talented and caring colleagues here at Assets, and for the opportunity to know your child and family. Tags: Appreciation, Assets School, Family, Gratitude, Thanksgiving | Permalink.